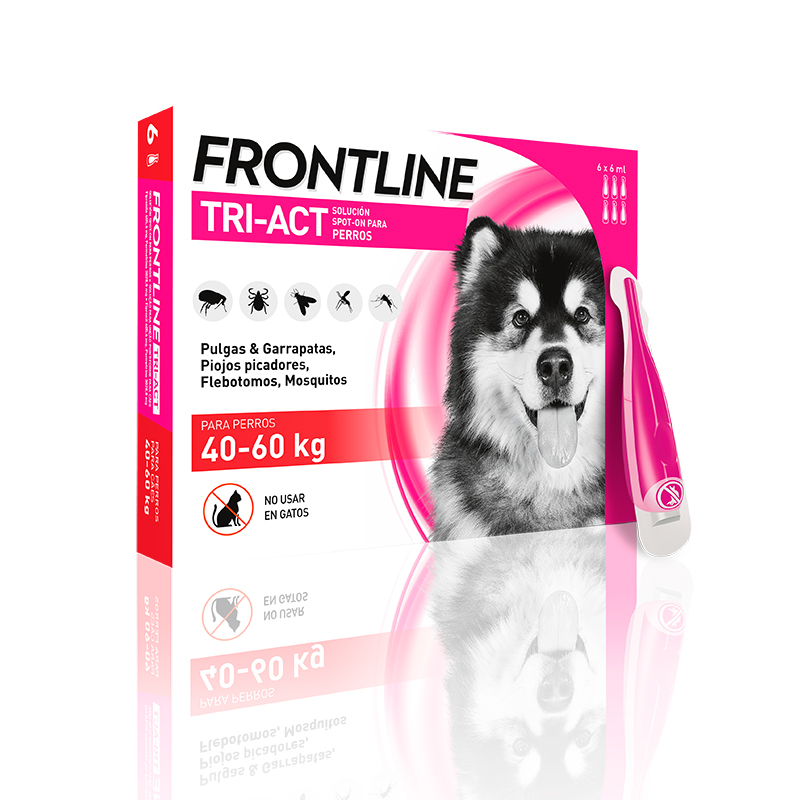 Frontline Tri-Act is an external antiparasitic for small dogs, from 40 to 60 kg, repellent, removes and protects your dog every day of sandflies, mosquitoes, fleas and ticks. Frontline Tri-Act eliminates external parasites in a comprehensive, effective and safe way. Composition: Tri-Act Frontline Spot-On Solution for Dogs contains 1 ml of product: 405.6 mg fipronil, permethrin 3028.8 mg, and butylated hydroxytoluene (E321) 2.45 mg.